OK here is the first announcement. 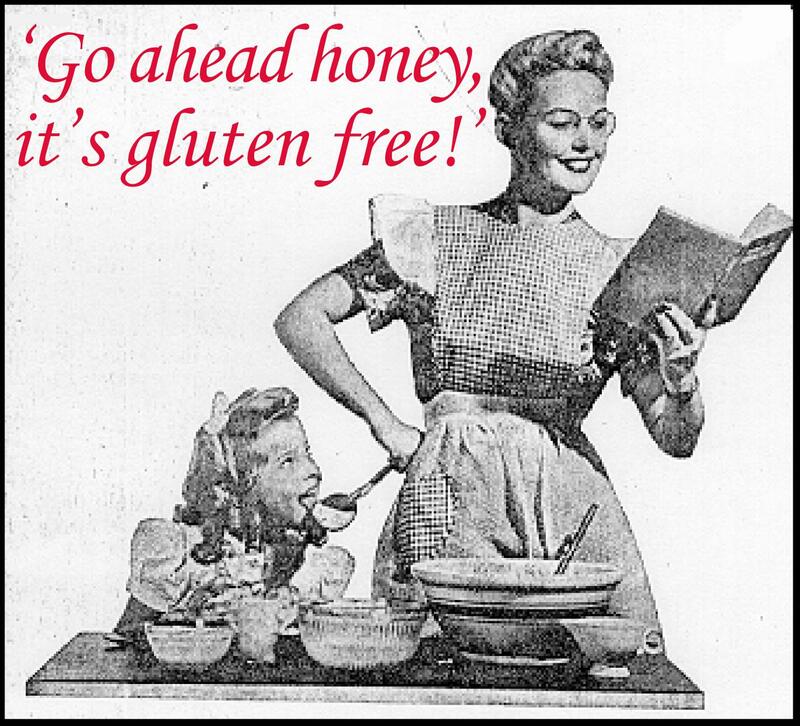 I will be hosting Go Ahead Honey, It’s Gluten Free here in July. I really enjoyed hosting last October with the Scared Silly theme and the post Gluten-Free at Hogwarts. This year the theme is It All Ends Here! 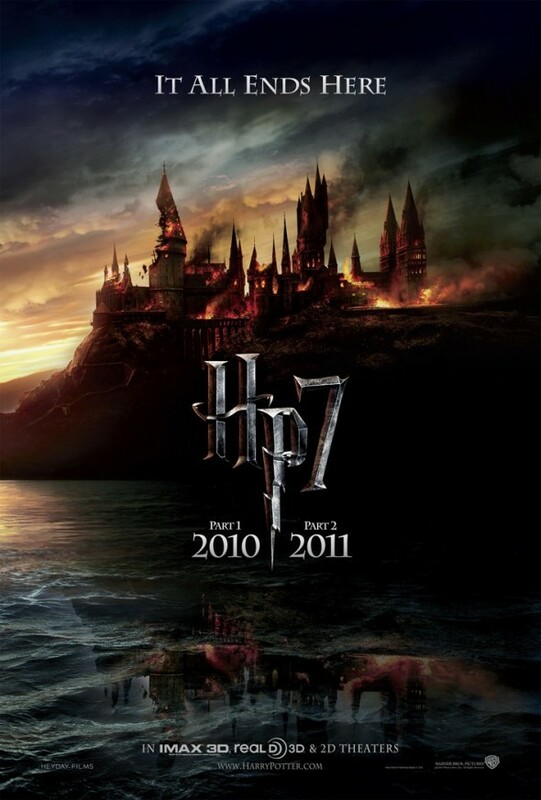 This is the tag line for Harry Potter and the Deathly Hallows Parts 1 & 2. Part 2 comes out July 15th so I thought it was appropriate to have this as a theme. Well and there is that whole obsession thing but let’s focus on the food. Of course when it comes to food this would pertain to anything you would serve last or at the end of a meal. Desserts, drinks, or whatever you fancy. This fun event was started by Naomi Devlin from Straight To Bed, Cakefree and Dried. Visit her site for this year’s list of who is hosting and what their theme will be. I love that this event travels around from blog to blog each month. Join the fun and participate! Everyone can participate and submit a recipe! If you don’t have a blog yourself or your blog isn’t gluten free, that’s okay. For this event though, the recipe has to be gluten free. If you don’t have a blog, in your e-mail submission be sure to include the complete recipe, commentary, and photo so I can add them to the wrap-up post. If you have a blog post your entry there and please be sure to link back to this post. Submit your link and photo via e-mail to the address below. Submissions are due to me at diane at thewholegang.org by Tuesday July 26th so that all the recipes can be posted together at the end of the month. I will of course conjure a wonderful story to wrap your delicious recipes in and post it at the end of the month so please come back to see how I wove them together. Please be sure to let me know if you have any questions – you can ask them in the comments section or find me on Facebook! Shirley you always come up with great desserts and drinks. I can't wait to see what you share. Just wanted to say hello and send you some gluten-free love! Melissa I actually envy those who have never read the books or know the story. I'd love to have it unfold for me again for the first time. It was exciting always trying to guess what was coming next. It will be sad to see the last movie. Thank you for the gluten-free love! Back atcha! Sounds like a lot of gluten-free fun! Never read or seen Harry Potter, but I bet my grandchildren would appreciate this! Thanks for informing us all about it! Cool theme DIane! My mind is churning so I'll see if I can come up with a great submission. Oh how I wish it could all unfold for the first time again! My mind is spinning! What a great theme! I have a dessert I've been wanting to try–an old favorite that I want to convert to gluten and dairy free. Hopefully I will get it done this month with your inspiration! Naomi how fun to have a birthday this month. Wouldn't it be fun to have a sorting hat that you could put on and it would give you the food to make and eat and the recipe too. Brilliant! Can't wait to see what you end up with. This is an exciting theme! My 11 year old talked me into buying him a ticket to the 12:01 am showing so he can go with a friend and the friend's mom. Since he is the gf one in the family I need to come up with a wonderful dessert in his honor. I've been trying to contribute to "Go Ahead.." but keep finding myself after the deadline is over thinking "Aw man!!" so this month it will work out for me! Looking forward to seeing what everyone comes up with! What a fun mom! I'll be at the 12:01am show too. 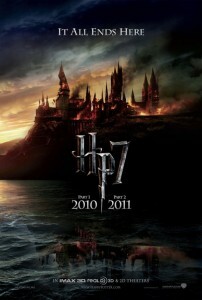 It's a lot of fun to be there with people who really love HP. I've created some other HP recipes along the way. I'm sure you'll come up with something great. I can't wait to see it. Now mark your calendar so you won't forget. Just wondering if we can only post one GF recipe or if we may submit more. Just found out about "Go Ahead Honey." Thanks Diane! Hope your keyboard dries out soon. I'm looking forward to your submission as I'm sure it will be delicious! Hmmm. I want to participate, but I'm not sure I can get one done in time. Just had some family stuff come up that needs taking care of, but I will do my best. I've only seen half of the movies, but I have read all of the books. I would re-read the books leading up every time a new one came out, so I have only read the last one once. Sold them all at a garage sale to a woman who had never read them and was very, very excited. Tia you sold your Harry Potter books! Wow, you are nicer than I am. I hope all is ok with the family. I am looking forward to seeing what people like to serve at the end of a meal. You will probably stop being my friend (or at least fail to see what you see in me) but I have never read Harry Potter and only seen the 1st movie! My hubby is a big fan though – so can it be any kind of dessert or does it need to be themed? First Carol I'd never stop being your friend and I don't toss people aside if they have not read Harry Potter. It's not for everyone, but it could be. As far as this theme goes it's all about what you serve at the end of a meal. You create that, I'll make it the Harry Potter story. You make such amazing desserts that I hope you will share one of those with us! Thank you Laureen. No time like the present to start reading the books. I recommend reading them before you see the movies. They'll all work better for you. Look for the next Harry Potter event coming at the end of the month.